Richard Armitage | Outside ITV and BBC Studios. . HD Wallpaper and background images in the Richard Armitage club tagged: richard armitage british actor photos. 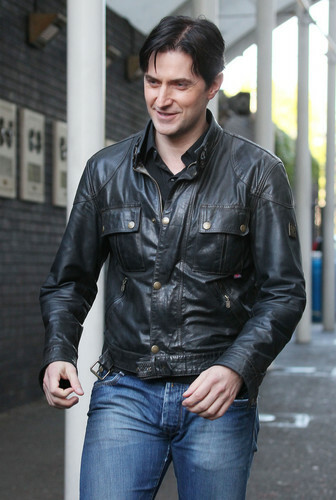 This Richard Armitage photo might contain улица, город сцены, городских условиях, город сцена, урбанизация, городских настройка, hip boot, and thigh boot.